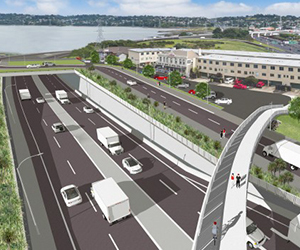 The final green light has been given on New Zealand Transport Agency’s application for the Auckland East West Link road proposal. An independent Board of Inquiry has approved the application for resource consents and notices of requirement to enable the construction of the East West Link which would link State Highways 1 and 20 between Onehunga and Mt Wellington. The Board released a draft decision on 14 November 2017, and received comments from nine parties. After considering these comments, the Board incorporated a number of ‘minor and technical’ changes into the Final Report and Decision. The Board’s decision can be appealed on questions of law only to the High Court under section 149V of the Resource Management Act 1991. It can be appealed by the New Zealand Transport Agency, Auckland Council, all submitters on the Proposal, and the Minister for the Environment. This approval is for the necessary notices of requirement and resource consents to enable the road to be built. The decision on whether or not to build the road rests with the NZTA and Government. To read the final decision and report please click here.